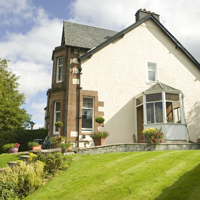 Ardblair Bed & Breakfast is an attractive place to stay in Fort William. 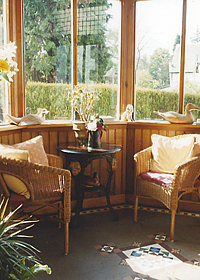 Our Victorian home offers bed and breakfast in Fort William to visitors travelling around the Highlands of Scotland. The stunning location overlooking Loch Linnhe and the attention to detail throughout the house is what gives this Fort William B & B its edge. Set in mature gardens, you can park off-road and stroll into town, also 5 minute walk to bus and train stations. This is genuine Highland Hospitality at its very best! "We only select the best accommodation for our walkers and at Ardblair House B&B in Fort William, we know they will find a friendly welcome and warm, comfortable rooms. After a good night’s sleep, Conny and René prepare a hearty breakfast in the morning that keeps our walkers going through the day. For an enjoyable stay in Scotland, we have no hesitation in recommending Conny and René and the wonderful Ardblair House B&B."